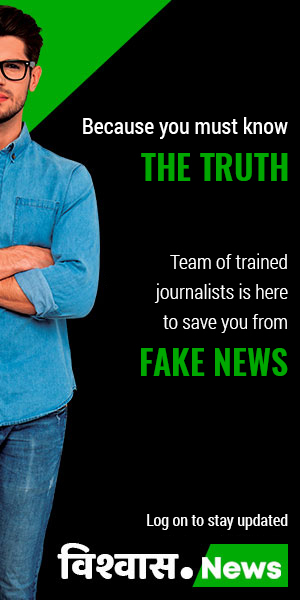 New Delhi (Team Vishvas). 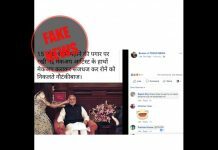 A post is going viral on social media that claims that an Australian man has named his Apple Company after Indian PM Narendra Modi. 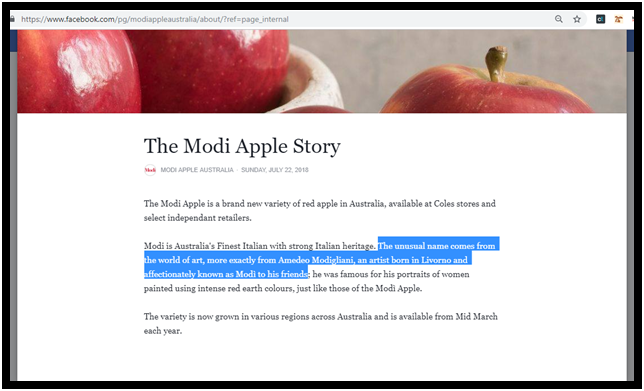 In our investigation we found that this news is wrong, the name of this Australian company is indeed Modi Apple, but it is not named after Indian Prime Minister. The company is in fact named after Italian painter Amedeo Modigliani. 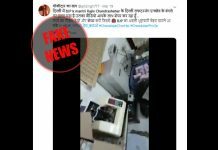 The viral post comprises of 4 photos along with a description that roughly translates to “Melbourne, Australia: A man named Filipino was so inspired by Narendra Modi that he named his apple company after his name, these apples will soon be available in India”. 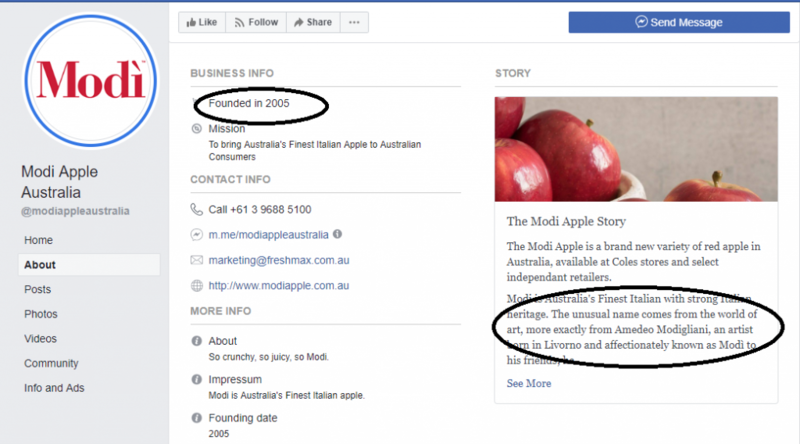 1) Australian man named his company ‘Modi Apple’ after the name of Indian Prime Minister. 2) These apples will soon be available in India too. In order to investigate this post, we decided to check these two claims one-by-one. 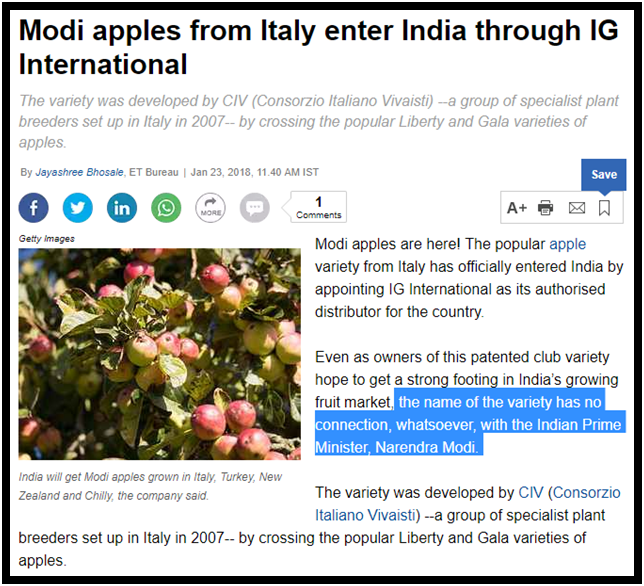 We first searched ‘Modi Apple’ on the Internet. 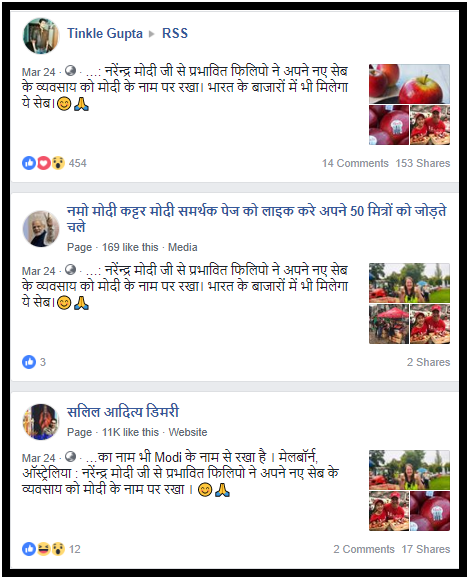 On the first page itself we found both’ Modi Apple’s’ Facebook page and website. 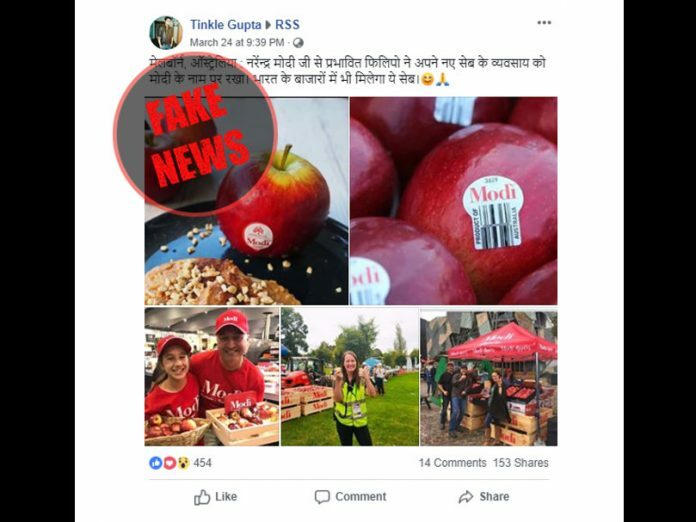 Let us tell you that all the photos in the viral post have been taken from Modi Apple, Australia’s Facebook page. This post was shared by a Facebook user Tinkle Gupta on a Facebook page named RSS. 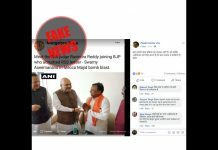 This page is not RSS’ official page. 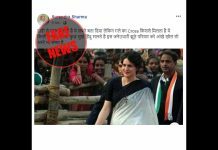 On scanning this profile, we found that according to the intro of Tinkle Gupta, he is a fan of a particular politician. He is a resident of Chhattisgarh and has more than 2000 Facebook friends. 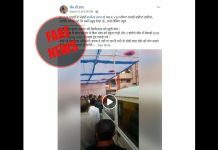 Conclusion: In our investigation, we found that the viral post is wrong. 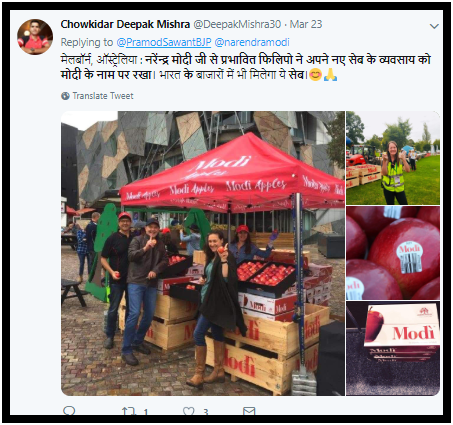 In fact, the name of this Australian company is indeed Modi Apple, but it is not named after the Indian Prime Minister. The company is actually named after an Italian painter Amedeo Modigliani.